Talk about over-prepared. I had 270 minutes of music ready for today's two-hour show. I think we are somehow tricked into thinking that we need to achieve, achieve, achieve. We never feel satisfied with what we've done. Yesterday I prepared my playlist, did maintenance on my and my daughter's bicycles, rode nine miles, graded a stack of compositions, practiced piano for an hour, and still, somehow went to bed feeling that I didn't accomplish all that I needed to. I need to get off the guilt wagon. Today I featured tunes with lyrics by E.Y. 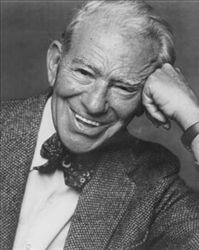 "Yip" Harburg. The name may not ring a bell for you, but you know his tunes: "Over the Rainbow," "It's Only a Paper Moon," "Brother, Can You Spare a Dime," "If I Only Had a Brain," etc. He was friends with Ira Gershwin, who convinced him to start writing lyrics. He wrote all the lyrics to the tunes in The Wizard of Oz (along with some dialogue and intros that he never got credit for. He was a progressive, who suffered twelve years of blacklisting between 1950 and 1962 for having ties to radical groups and for refusing to rat on other lefties. Spring really hung us up, we did some spring cleaning, but Jim Dandy still has snow so deep that it's up to the Grand Wazoo. I don't know exactly it is that Spring arrives in Maine. June maybe. Nick and Gaby excelled on the cover contest. Dandy did a good job, Chris took third, and I even had an entry from a student. Four entries! but Nick/Gaby were not to be beaten this morning. 1. Herbie Hancock played a tune, which one and whose? "Thieves in the Temple" by Prince. This is from the soundtrack of Graffiti Bridge. 2. James Moody played a tune on the flute, which one and by whom? - "The Pink Panther Theme," by Henry Mancini. 4. Whose tune is this "It Takes a Lot to Laugh, it Takes a Train to Cry" and who is doing it? Bob Dylan's and Taj Mahal. The first part of this question is the only part that Nick and Gaby missed. Catamount Community Radio, Sunday mornings 10-12 (right coast) on WWCU-FM. 7. Abbey Lincoln – Brother, Can You Spare a Dime? 18. Tommy Dorsey Band – How are Things in Glocca Morra? 19. Sonny Rollins – How are Things in Glocca Morra?